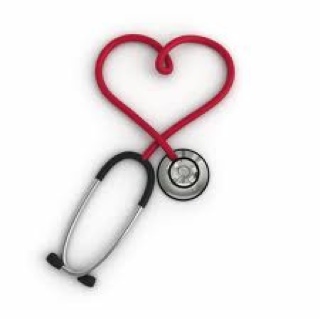 Many of you have been very sweet to send me messages or to phone me to find out about my time with my cardiologist. It is weird to say "my cardiologist". However, he was super fantastic to work with, and he put me completely at ease. I had an EKG done on site, and right away they saw what was found on the Holter Monitor I had worn after my trip to the hospital. I am experiencing frequent PVC, or Pre Ventricular Contractions. Simply put, my heart is getting ahead of itself and then trying to correct itself. The good news is that I am healthy. My heart function is good as well as my blood pressure. I had numerous tests done to determine the cause and effect, and luckily, all that is known is that I am low in magnesium and sleep. He asked me a million questions about my life and ordered me to try and take a load off (moms everywhere are laughing at that statement), and he chuckled when he said it. But after discussing the past year and all the changes, he told me that it is definitely straining my body and that is mostly why my heart is feeling the effects. I saw the EKG. It looked like I gave the baby a black marker and free reign. I have a small list of things he wants me to work towards in hopes that we can avoid medication. I go back in three months, and I hope the EKG will look remarkably better. If not, we will have to go a bit further into the what and why of this crazy and most uncomfortable rhythm thing I have going on. I can handle the list, mostly. I am forcing myself to go to bed earlier. I have my magnesium right next to my Keurig. (And no, I am not drinking too much coffee-we discussed this and I am OK in the caffeine department) But finding "me" time is very hard. I know how important it is to take care of myself. Believe me, he adequately preached to me this priority. However, believing it and making it happen are a bit difficult. But, I have to do it. Figuring this all out will take a bit of time. I have taken some steps. I have turned over all the family finances to my husband. I relived myself of that cumbersome duty most joyfully. (Actually, he has taken several things off my plate by doing this) I am very content to let him care for me by holding some reigns I needed to drop. He is going to be my biggest ally in getting this under control. I realize I just do things sometimes without ever even asking for help. I am realizing I really need his help, and I really want it. I think my take-charge mode just overtook me last year when he got so sick. I just ran like a bull in a China shop trying to do the best for everybody in the family. I got stuck in that sort of crisis mode. Everything we did and how we lived got turned upside down. But he is well now, and I have to stop before I trade places with his past. I am glad he is the man. I am glad he can be strong when I am unable. I am happy to let him help me. And that is all I know. God is good, we are healthy, and I am going to rest my heart in that.